Ever since 2005’s release of Lego Star Wars, TT Games (formerly known as Traveller’s Tales) have made quite the large library of licensed Lego titles. For the most part, they’ve been received fairly well, but the popular opinion has been that after 24 games in the series, the formula has been getting pretty old. So how does the latest entry in the series, Lego DC Super-Villains, attempt to mix up the formula and keep this venerable franchise fresh? If you’re not familiar with TT Games’ Lego Series, they’re usually a star-studded adventure through the story of a recent popular movie or comic series, but starting with the release of Lego City Undercover in early 2013, TT Games has been making an attempt to create original stories with their licensed IPs, which led to the birth of the Lego Batman series. Lego DC Super-Villains is the fourth such game and the first game in the DC series that doesn’t focus solely on Batman and the Joker. In Lego DC Super-Villains, the Justice League is taken hostage by a new group of superheroes who call themselves The Justice Syndicate. With the Justice League out of commission, the Justice Syndicate takes over as the de facto heroes-on-duty, telling everyone that the Justice League is taking care of a mission elsewhere in the universe. However, The Justice Syndicate, in reality, is the Crime Syndicate of America, a group of supervillains from an alternate universe named Earth-3. The only person to see the abduction of the Justice League is Harley Quinn, who the Justice Syndicate then captures in retaliation. While the Justice League is away, the Villains can play, and Lex Luthor starts a crusade to recruit more villains to the Legion of Doom to carry out his ultimate evil plan. But, the Justice Syndicate isn’t exactly a sterling example of a group of heroes, and thus, Catwoman sees through their facade and leads a small group inside the Legion of Doom to go rescue Harley Quinn and save the day. That’s just a small sampling of the storyline on offer in Lego DC Super-Villains, with lots of twists and turns that you’ll never see coming, and it’s clear that TT Games has had a lot of fun with this plot. 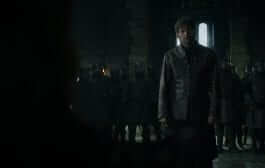 One of the biggest story twists is that the storyline revolves around someone called The Rookie, which is a character that the player creates themselves- a wholly unique feature to this new game. As the game progresses, more and more customization features unlock for your Rookie, and you can make him or her entirely your own. Speaking of characters, Lego DC Super-Villains has tons upon tons to select from. A total of 168 characters can be unlocked by playing through the game, with 6 slots for custom characters and more DLC characters coming down the line. 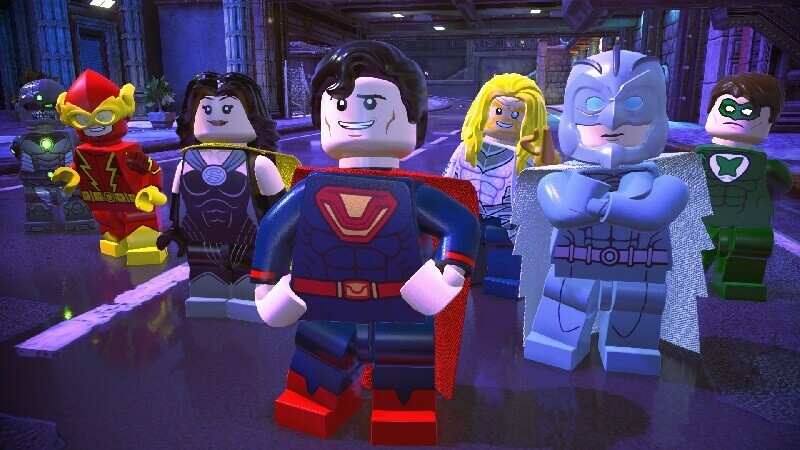 While playing through the story, you’ll notice lots of fan favorites as well as a few obscure throwbacks to older DC comics, which seems to be a tradition for these Lego games. Since Lego Lord of the Rings, the series has had voice acting, and this game is no different- and TT Games really pulled out all the stops this time. Michael Ironside, Mark Hamill, Dee Bradley Baker, Gilbert Gottfried, John Barrowman, Matthew Mercer, and Kevin Conroy play just a small part of the enormous cast, and the top-notch voice acting really does play a huge part in how polished this game actually feels. 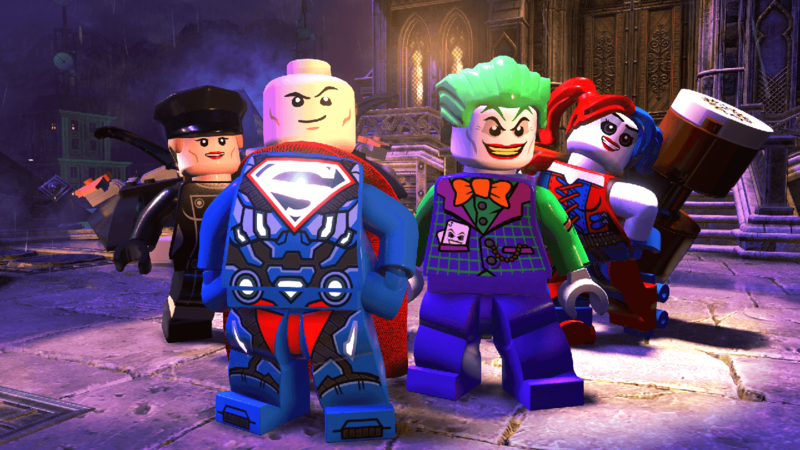 Lego DC Super-Villains still follows the same basic gameplay formula from the previous entries in the series, breaking things, solving puzzles and collecting lots and lots of studs with a fixed party of characters in story mode, and then taking another trip through the game in free play mode; which allows you to access alternate pathways and secrets you would have missed in your first playthrough. What this game does differently, though, is what makes it special. For the first time in the series, the basic controls have been modified; making each shoulder button a dedicated dodge button. Also found in the game is a stud multiplier that grows the better you perform in combat, allowing you to hit the stud goal for each stage much easier if you’re playing well. These additions go a long way to making the game feel fresh from start to finish, despite its aging formula. The Riddler and Scarecrow- Two of the more notorious villains in this game. Lego DC Super-Villains has tons of unlockables, with Red Bricks, Minikits, and Character Tokens to be found in every stage. Each one of these leads to unlocking lots of hidden extras in the game, including more of the characters, more vehicles, customization for your Rookie, as well as extra cheats, for spicing up the game! The number of collectibles and unlockables should keep you playing this game for quite a while. 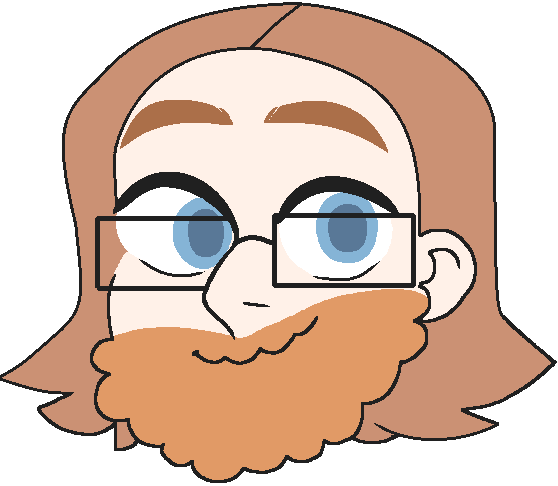 Not to mention, every single character has a camera-phone, allowing you to take selfies literally anywhere, and this can even lead to a few secrets called Picture Perfect Opportunities. With the combination of all of these unlockables, as well as the astounding amount of polish this game has, makes it an absolute delight to play. Verdict: Overall, even if the base gameplay of Lego DC Super-Villains is similar to previous titles in the series, the polish that TT Games has put into this entry makes this the best Lego game that’s been released in over a decade. 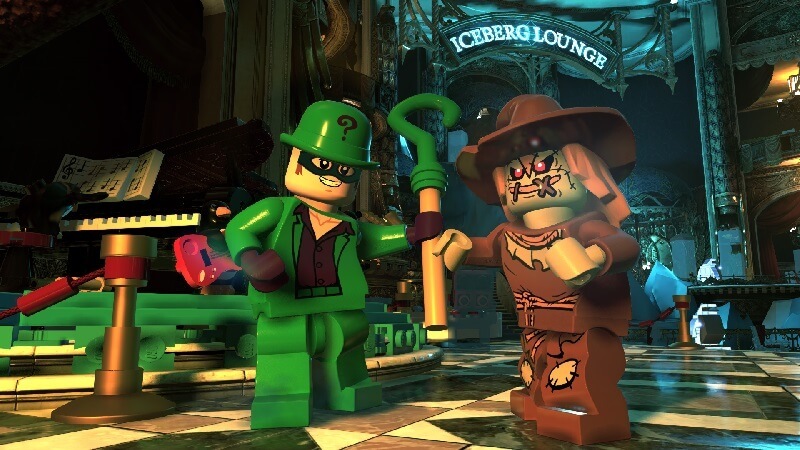 Anyone who is a fan of either Lego games or any of DC’s properties will find a tremendous amount of fun with this one, and Lego DC Super-Villains earns a perfect 5-star rating from me. It's good to be bad… Embark on an all-new DC/LEGO adventure by becoming the best villain the universe has seen. Players will create and play as an all-new super-villain throughout the game, unleashing mischievous antics and wreaking havoc in an action-packed story.